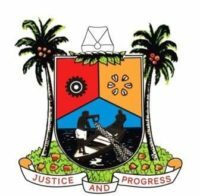 Lagos State Deputy Governor, Dr. Idiat Oluranti Adebule has disclosed that the just concluded 3-Day Rasheed Gbadamosi Eko Art Expo organised by the State government is aimed at using tourism, entertainment and the creative arts to boost and stimulate the economy of the State. Speaking during the closing ceremony of the exhibition held at Eko Hotels, Victoria Island, Lagos, the Deputy Governor noted that the event is a further demonstration of the current administration’s resolve to run an all-inclusive government where everyone is a major stakeholder with the opportunity to contribute to the social, economic and political growth of the State. Dr. Adebule, who expressed satisfaction at the organisation of the 3-Day event, promised that the State government will work towards making the art expo an annual event in order to sustain and maintain an enduring relationship with the arts sector so as to harness its economic benefits for the State. 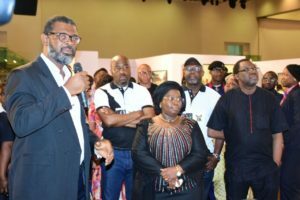 While promising the State government’s support for genuine innovations and creativity that can enhance individual development, the Deputy Governor called on more artists and exhibitors to come on board and take full advantage of the enabling environment provided by the State government to develop their potentials. She applauded the organizing committee for allowing student artists to showcase their artwork alongside top and already established artists, stressing that the efforts will not only serve as a morale booster for students but encourage them to do better. Earlier, the State Commissioner for Overseas Affairs and Investments, Prof Ademola Abass said the expo was primarily put together to commemorate the passion and dedication of Late Chief Rasheed Gbadamosi to the arts and also to recognize his contributions to the development of the State especially his commitment to Lagos State @50 celebration as co-chairman. Prof. Abbas disclosed that the Eko art expo is the beginning of series of activities and events lined up for the Lagos @ 50 celebrations coming up in May 2017.